PolyTurf products have undergone rigorous testing of numerous factors such as tensile strength, drainage rates, ASTM, and more. 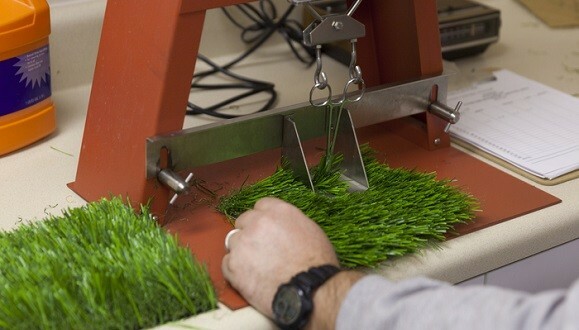 We are constantly striving to improve our products so we can provide the best available in the synthetic turf market. All of our products are made in the USA with the latest technology available. PolyTurf is made to be durable and long lasting. Please visit our Tech Center for more information and contact us for specific testing data.